This impressive Ryan Michener model boasts the most desirable upgrades and features throughout 3,900+ square feet on three finished levels. Enter into the grand two-story foyer and you will instantly appreciate the espresso hardwood floors and the dramatic floor to ceiling windows that allow natural sunlight to fill the entire main level. The formal dining room is emphasized with a tray ceiling and classic crown & chair moldings along with a butler’s pantry that joins this room with the kitchen. The centrally located kitchen has been recently renovated to include beautiful granite countertops with island & breakfast bar, brand-new stainless-steel appliances, 42” cabinets with convenient slide-out storage, above & under cabinet lighting, and an adjacent breakfast room. Finishing out this level is the family room with gas fireplace, laundry room, and powder room. Upstairs, you will find four sizable bedrooms including the sprawling master suite that features dual walk-in closets with built-in organizational systems and the most luxurious spa bath with dual sink vanity, jetted tub and frosted glass stall shower. The possibilities are endless in the expansive finished lower level featuring durable & stylish wood laminate flooring, a full bath, recessed lighting, storage area and plenty of room for activities. 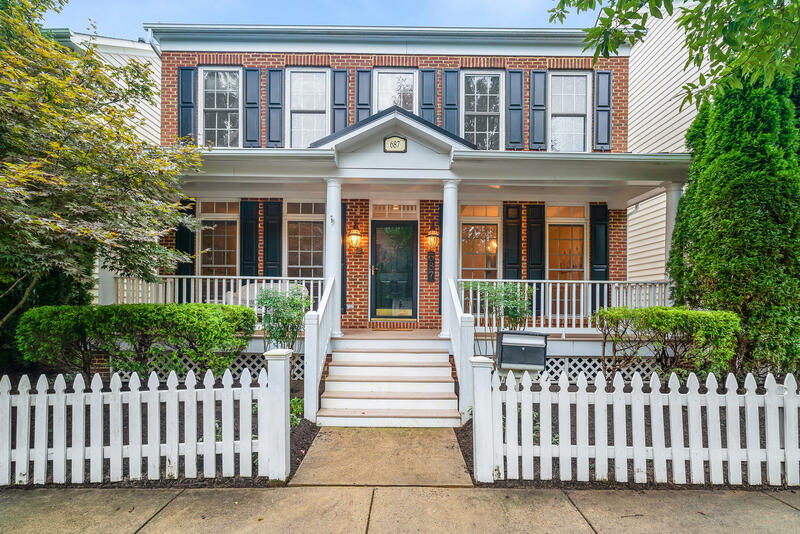 The exterior of the home features a charming front porch, a covered rear porch that overlooks the fenced yard & patio, detached 2-car garage, and a fantastic location right in the heart of the Lakelands.